I Eye is the new rising star signed by Shang Records spearheaded by Clifton “Specialist” Dillon. The label had started out more than a decade ago with the likes of Dance hall veteran Shabba Ranks , Queen Patra & Mad Cabra, one of its recent acted including Italian/Jamaican Reggae Singer/Producer Alborosie. Since its creation some five decades ago, the reggae industry has seen many female star lights. From its very first, being Millie Small to its current reigning queen, Marcia Griffiths, the Jamaican soundscape has spawned few talented entertainers that exude the versatility found in the burgeoning artist named Ieye. Born in a quaint rural district in St. Catherine, Jamaica, she was the offspring of a god fearing mother and a musically driven father. A child with ten siblings, her rural upbringing instilled the core values to which she still holds true and is the strength which guides her along her path to success in the rough-n-tumble world of Reggae. An accomplished graduate of Dinthill Technical High with 5 CXC subjects, her focus has been catalyzed by a mother who sent 11 children to high school after her father’s death in Ieye’s early years. Harnessing her love of children and youth development, she set her sights on teaching, but felt the urge to sing and yielded to the greater call. 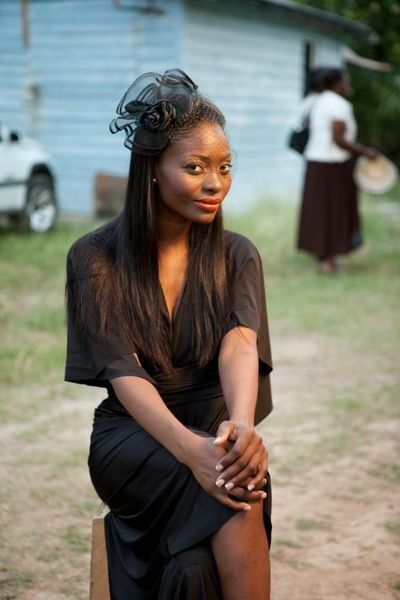 After nurturing her talent within her community at weddings, church activities and other such events, neighbors, friends, and fans encouraged her to enter a national contest, and the Jamaica Cultural Development Commission’s Festival Song Competition became her first weight set by fate. Known nationally as one of the country’s most prestigious talent showcases, the 2008 staging proved to be one of the best in years. Revamped by the Babsy Grange led Ministry of Information, Youth, Culture and Sports, the Minister’s detailed and creative approach towards cultural preservation became the breeding ground for a diverse range of talents of which Ieye is one such. After rounding out the competition as a finalist, her voice and flair caught the ears and eyes of legendary starmaker, Clifton “Specialist” Dillon, noted for catapulting Dancehall Reggae into the international mainstream with talents such as Shabba Ranks and Dancehall Femme Fatal Lady Patra. Within three months of their initial meeting Ieye began working on her first full length album project as a signed artist of the spanking new Shengen Clan Imprint, an indie label spearheaded by Clifton “Specialist” Dillon and Italian Reggae Star/producer Alborosie. The debut release dubbed “FeverGrass” is without a doubt a dose of musical medicine, sure to cure the sore need for fresh music, as we sip this new sound. With over twenty tracks currently in the mix, the project evolves along the entire urban music spectrum. From reggae, dancehall, RnB, neo-soul to afro-folk, Ieye nurtures each track with such instinctive creativity, the album will serve up a palate guaranteed to whet the appetite of even the most discerning music lover. The message is universal, speaking to the rudeboys, motivating the youths and healing broken hearts all in one sitting, she bends the music to meet our minds, to connect with the heart, inspiring the soul… and that is what music is all about. " 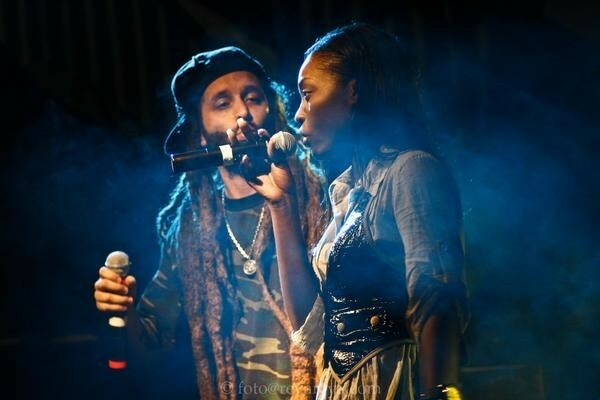 A 2009 single from Alborosie featuring I.eye - "Mama She Don't Like You"